In the heart of old Jaipur city, the relatively new temple of Bhagwan Shri Jhulelal looks strikingly different from its surrounding. In the heart of old Jaipur city, the relatively new temple of Bhagwan Shri Jhulelal looks strikingly different from its surrounding. The small but beautiful compound is made of milky white marble and is adorned with lush green lawn. The main deity of lord Jhulelal is located in spacious sanctum sanctorum located approximately at a 10 ft height from rest of the compound. 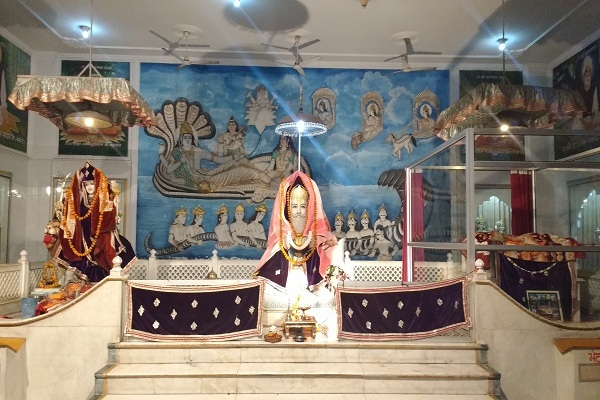 A striking feature of the temple is a large painting of Lord Vishnu resting on Sheshnag alongwith godess Lakshmi and Naradji just behind the main deity. On the left side, one can notice the idol of Mata Durga with Singh Sawari blessing the devotees. 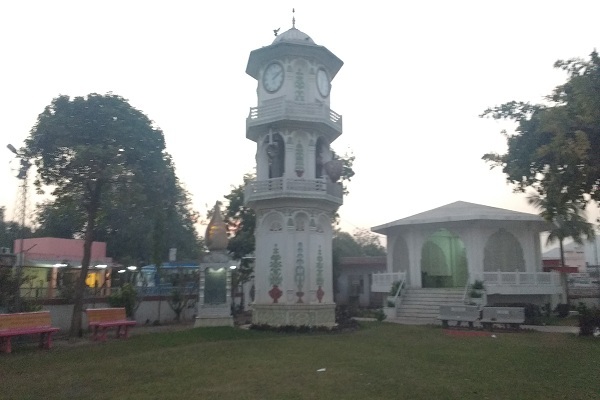 Stepping inside the big gate of the temple, your attention is automatically drawn towards a huge clock tower in left side of the lawn. This 30 ft high tower is built by Rochees group and has 4 giant clocks in four direction on top of it. In the middle, one can see impressive human sculptures holding musical instruments to be played during daily aarti. In the left side of the tower, you may notice a big shilalekh describing contribution of Rochees family in constructing this monument. The top of Shilaleksh is in the shape of large Shankh, carved out of brown stone. Despite of being dedicated to Sindhi sect, this temple is quite popular among Hindus and other communities residing nearby. 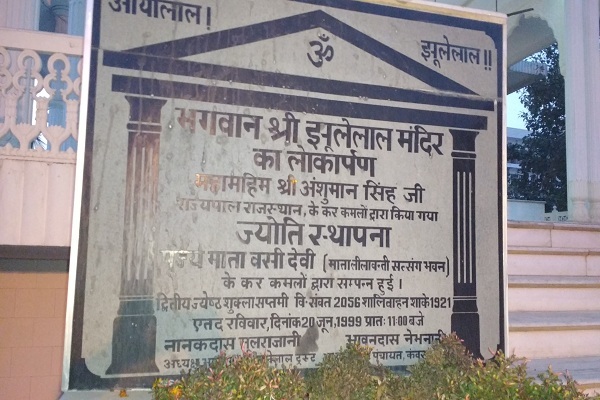 The temple is in close vicinity of famous Govind devji temple, Jantar Mantar and Poundrik Udyan. Darhan Timings: Darshans are open to public during weekdays from morning to evening with Shayan break from 2 to 4pm. 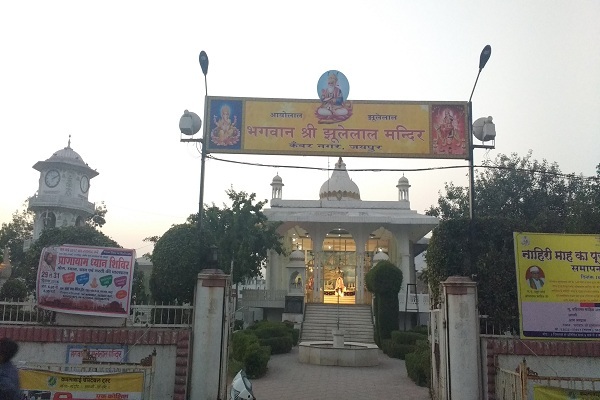 This temple is located at less than 1km distance from Govind devji temple. One can take a taxi from Badi Chopad or Subhash Chowk to reach the temple easily.